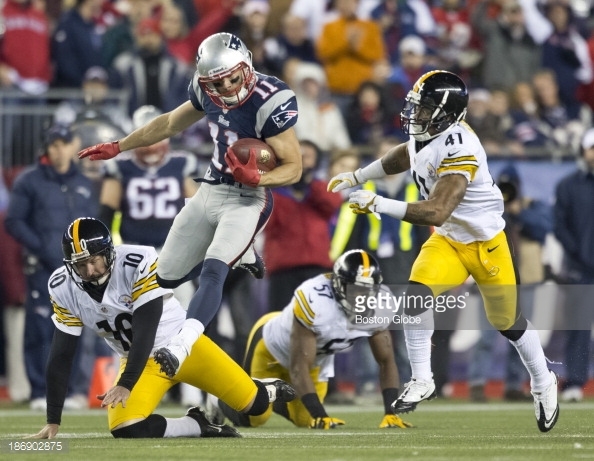 Week 1 Preview: Patriots vs. Steelers Positional Breakdown | NFL News, as it happens, when it happens. Your one stop shop. Ahhh it is finally that time. Football is back and the New England Patriots are ready to defend their title. Let’s see how they match up against the Pittsburgh Steelers. Do I really need to say anything here? Ben Roetlisberger is a very good quarterback. However, Tom Brady is the best ever. He’s coming off another Super Bowl MVP and is looking to stick it to the NFL. The Steelers have one of the best running backs in the game. However, he will not suit up. Le’Veon Bell is suspended. As if the Patriots’ starting back, LeGarrette Blount. Jonas Gray has been cut so the Patriots have absolutely nothing in the backfield as of right now. While Bell is suspended, Deangelo Williams runs circles around any back the Patriots have on their roster. 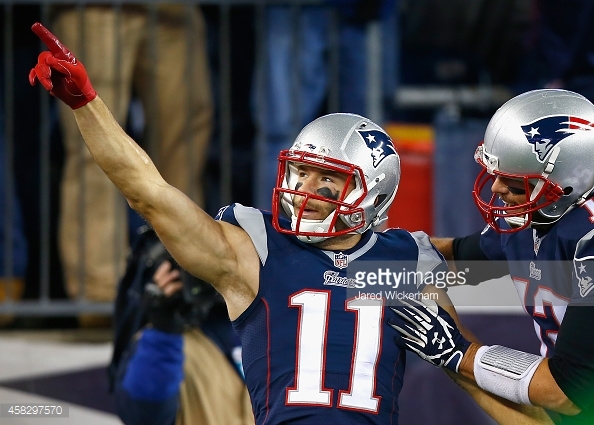 If Brandon LaFell and Julian Edelman were both healthy, they it MIGHT be CLOSE. However, we could be looking at Danny Amendola as the top receiver for Brady on Thursday night. That makes it a pretty easy decision, as Antonio Brown is arguably the best in football. As easy as it was to pick the Steelers in the receiver position, it is equally as easy to pick the Patriots at tight end. Rob Gronkowski is the best tight end in football and Scott Chandler is a matchup nightmare with his size. Look for Gronk to have a huge game as he is one of fes targets Brady will have, and he cannot be covered. Both teams have solid lines; however, the Steelers are missing their best lineman with Maurkice Pouncey out until week 9. David DeCastro is still a great lineman, though. I am going to give the Patriots the slight edge, but if Bryan Stork does not play, then I believe the Steelers have the edge. Stork totally transforms that offensive line. The Patriots need to have him in there. The Pats already have one of the best linebacking corps in football. When healthy, Jamie Collins, Dont’a Hightower, and Jerod Mayo are some of the best. Add Jabaal Sheard to that list and you have the ability to have a great rotation to keep everybody healthy. Yes, the Patriots lost Darrelle Revis, Brandon Browner, and Kyle Arrington. However, Malcolm Butler looks to take the next step, Devin McCourty is still around, and the Steelers cannot defense the passing game to save themselves. Bill Belichick prides himself on special teams. Jonas Gray was probably cut because he does not play special teams and Brandon Bolden does. Matt Slater is still the best as is Steven Gostkowski. Bill Belichick went 11-5 with Matt Cassel. While it may seem that the Patriots should run away with the game based on the positional breakdown, I would not look at it like that. Many of them are close calls. The Steelers are a very good team who can make up for their defensive struggles with a high powered offense. Plus, what the hell does any of this actually mean come Thursday night? We just have to see how it is all played out.